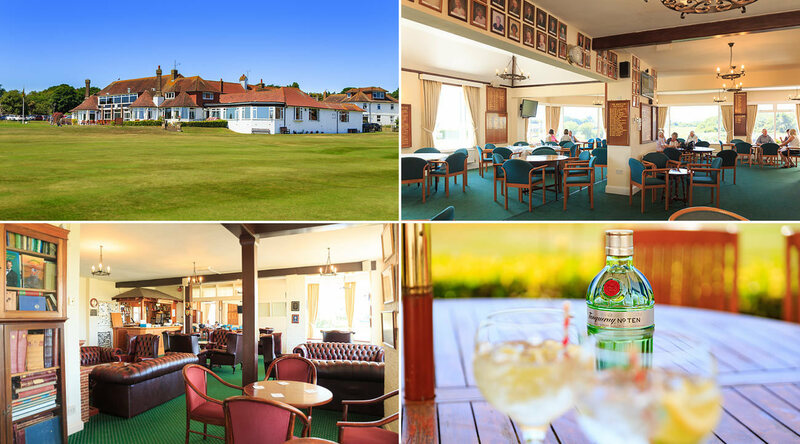 When you choose Cooden Beach Golf Club you can be rest assured that the high level of service and attention to detail you will receive, before, during and after your function will make it the most enjoyable of occasions. Our beautiful Dining Room is on the first floor of our Club House and has a internal balcony overlooking the golf course. The spacious Dining Room is exclusively yours for the duration of your function. It is fully air-conditioned, has lift access and ample parking for all your guests. We lay our tables with white linen to offset any flowers, balloons and table decorations that you may wish to organise. Please take time to look through our Function Brochure. Our menus are designed by our Head Chef who prides himself on the extensive selection on offer and the quality local ingredients he uses to create his dishes. If any our menus do not meet your requirements we would be more than happy to discuss and design a menu tailored to suit you. Please do not hesitate to contact me as I will be happy to answer any questions you may have and would love to show you around. If you have a specific date in mind, and to avoid disappointment, please get in touch to check availability. To confirm your booking please complete and return the booking form along with the deposit. I look forward to welcoming you at Cooden and hope I can be of some assistance in arranging your function.